Traffic@SG provides a convenient way for you to understand the traffic conditions along the various expressways as well as at the checkpoints via the various traffic cameras installed by LTA and Google Map Traffic overlay. – Easily share traffic images with your friends via the various messaging or social apps. 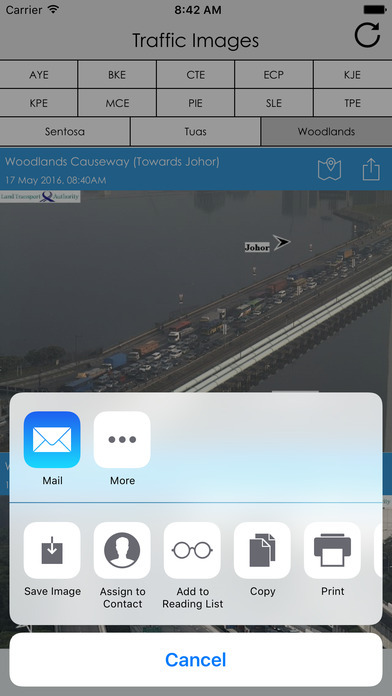 Traffic@SG is developed by the developer behind your favourite Haze@SG app.